Dinn Rí Bar has has a new food fayre and deli hall offering breakfast, brunch, lunch and tea-time dishes as well as home-baked treats. New menus are available which use quality and locally sourced ingredients that are fresh, seasonal and bursting with flavour. The kitchen also caters for those with food allergies or sensitivities so if this applies to you, just let us know. Dinn Rí Bar has won the coveted ‘Black & White Pub of the Year’ award on 3 occasions. 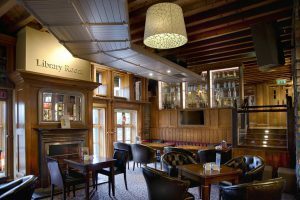 It also won ‘Best Pub Carvery in Leinster’ (2014), ‘Best Licensed Premises’ in Carlow (2014) and has received many Certificates of Excellence from TripAdvisor (2015, 2016, 2017 & 2018). Most recently, Dinn Rí was the proud recipient of the Carlow Chamber ‘Venue of the Year Award’ for 2018. 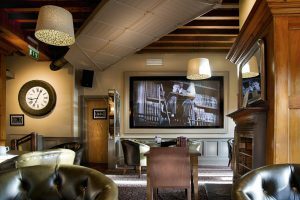 At Dinn Rí Bar there are usually live bands playing each Saturday and for sports enthusiasts there are large screens which quite literally put you in the game. 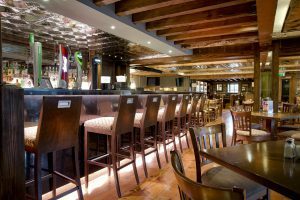 Dinn Rí is located in the heart of Carlow town and has several great party and celebration spaces, so if you are planning a get-together to mark a milestone or special occasion, be sure to check out what’s on offer on our parties page. TripAdvisor has awarded Dinn Rí Bar a 2015, 2016, 2017 & 2018 Certificate of Excellence. This achievement is a direct result of the bar’s great reviews from TripAdvisor travellers.